Interesting pieces of unpolished Amber from Sumatra in Indonesia. The outside "coating" looks very dark, almost black, and the Amber itself has a feint orange/red tinge to it. 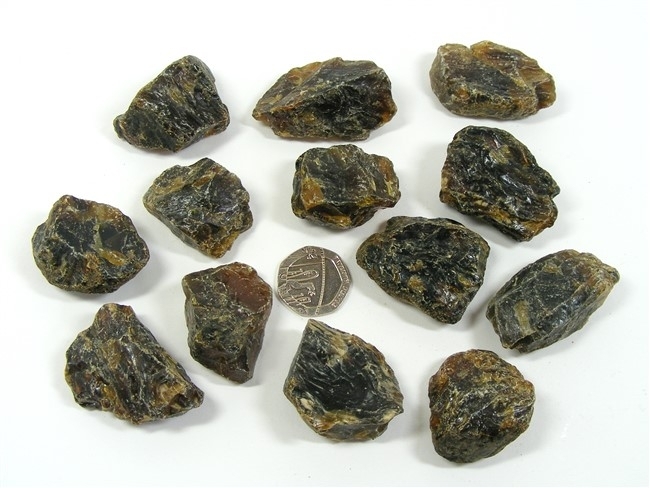 Amber is known for its ability to absorb negative energy and to transmute this into positive energy, thereby helping the body to heal itself. It helps with tissue revitalisation and is also good for throat, kidneys, bladder, stomach and spleen, and for teething pain in small children. Amber may also help with intestinal and digestive disorders. Amber is a protective stone and one that brings us wisdom, patience and a sense of balance. It has a calming and cheering influence and helps us to feel less stressed and more carefree. It encourages clarity of thought, creativity and decision making, helping us to bring our desires to fruition. 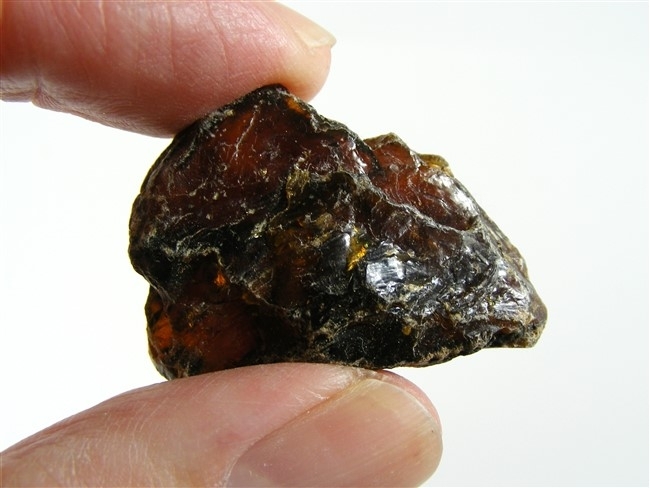 Amber is also thought of as a stone of good luck and happiness. Amber provides us with a link between our everyday selves and the realms of spirituality. It provides us with psychic shielding and, in addition, promotes within us the desire to do good for our fellow human beings, simply for the pleasure of doing so.